Home » Family Business Of The Year 2019 – We Are Shortlisted! 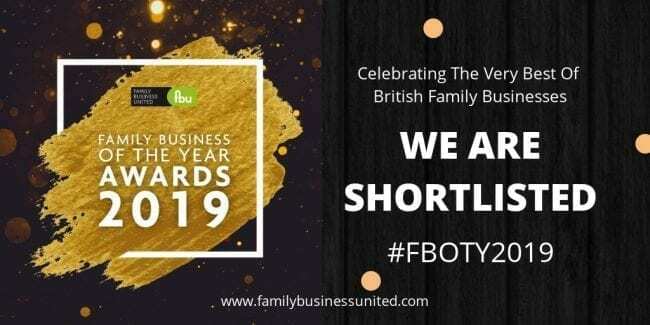 Shortlisted for Family Business Of The Year 2019!! What a wonderful way to kick-start the year although the news has meant that sticking to a dry January might be a bit tricky! I am absolutely thrilled that we are shortlisted for this prestigious award. It means so much to us to get recognition for the work that we do here. 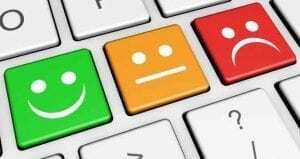 Lots of companies say that customer service is their no.1 priority but I’ve worked for some of those companies and it is often a box ticking exercise. I’ve also worked for companies where you try hard to make every day matter but when you’re selling something like a microwave, there’s only so much impact you can have. When Richard set up Scattering Ashes he did it from his heart. Because there was no advice about what to do with ashes. If you dared mention the word cremation ashes people were shocked into silence. After a little while though they would tell you that Nan’s ashes were in the attic. Or all three dogs’ ashes were in the garage or garden shed. It was as though they had a dirty secret that they were embarrassed to share. Richard set out to change all that, he researched and researched and to be fair keeps researching everything there is to do with ashes. Can you put them into space? Are you allowed to put them in the river? What happens if you bury ashes and then change your mind? The answers are yes, yes – see our advice page on scattering on water, and it depends – see his post on ashes interment. Making you confident in whatever decision you make. 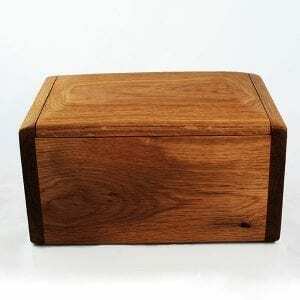 Scattering Ashes believe that everyone should feel confident in choosing how they want to remember their loved ones. Every page, post, products, service or article is written, selected, sold or carried out with this one purpose in mind. If you loved Granddad’s stories of his part in WWII, how his eyes lit up with the adventure and how the kids couldn’t get enough of it you can scatter his ashes from a Spitfire. If you miss dancing with your partner of 50 years, put some of the ashes into your favourite record and keep dancing. Whatever it is that will help you get through the pain of bereavement and get to the part where you can celebrate the wonderful life lived – do it. Listening to what you need. So every day Richard, Hannah & I answer calls and emails and FaceBook posts and messages and we talk. We listen to your questions and worries and fears and stories – we especially enjoy the stories! And because we have been doing this for over 9 years and have researched everything we can possibly find out about ashes. We help you to find a way to have a beautiful ceremony that captures the spirit of your loved one. We work with you to navigate your way through all the family complexities, we understand, we have them too! We put you at the very heart of what we do. Every day, not just during Black Friday or January Sales. Every single day, because we’re not selling microwaves, we are creating beautiful memories of the person who was special to you. We’re pretty shy about shouting about what we do. But these awards have highlighted some of the great stuff we’ve been doing for our wonderful customers. We are particularly proud of our Ceremony Sets and accessories. When a family gets together is is always special, even if it is a funeral. It is still good to remember the person who is no longer there together. But the funeral can be raw and there is often not enough time to really say what you want to say. Once you have collected the ashes from your Funeral Director or the Crematorium you can plan a ceremony when it suits everyone. This is the time when you can focus on all the brilliant stuff, yes there might be a few tears too but you can celebrate all the amazing things that made them special. Why you should vote us Family Business of the Year. we’re one of the good guys! Click here and click on the ‘vote now’ button for Scattering Ashes. You can also Like our Facebook page and use the hashtag #celebratethelifelived & #FBOTY2019 on any social media. Thanks Pauline! we really appreciate it.